Spider-Man envies Deadpool's free-spirited life. 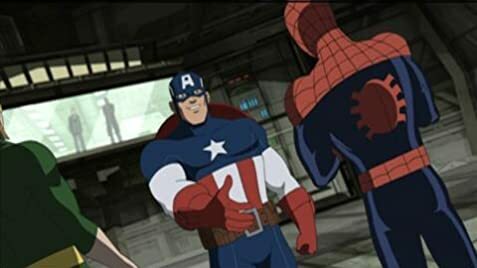 How many episodes of Ultimate Spider-Man have you seen? The Haters are Morons, The show is Fantastic! 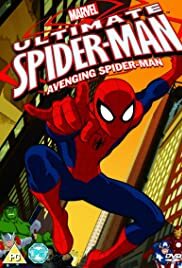 As a true believer for years I can honestly say this show may be not as great as spectacular spider-man but it certainly adds what spectacular failed to do. Ultimate Spider-Man is more of a comedic take and more true to his personality. There are tons of fourth wall jokes and bad scripting here and there but you learn about some new heroes and villains such as: Whiter tiger, nova, iron fist, power man, task master, the frightful four, Zzzax, etc. The animation is better and features more marvel heroes which is more true to the comics since marvel comics usually have other hero appearances at least once every 3 issues. If you can get past the silly jokes and cutaways, It makes an incredibly entertaining marvel super hero cartoon. 18 of 48 people found this review helpful. Was this review helpful to you?